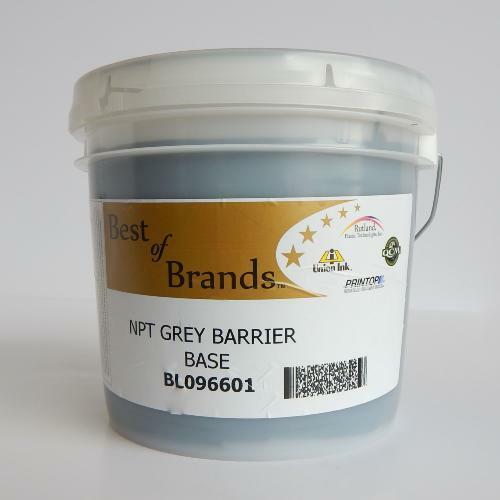 Grey Barrier Base is a base for direct printing or for use in transfer printing. This product is a base that has the ability of blocking or controlling dye migration from the fabric that frequently stains the printed ink layer. This usually occurs on dyed polyester fabrics and/or cotton/poly fibre blends. Grey barrier base has to be printed as a first layer or primer when direct printing through screen to garment or the last layer when producing transfers.